San Francisco Giants fans grew to love Brian Wilson, the flame-throwing right hander who was somewhat reminiscent of former Giant great, Robb Nen. Over the past couple years, Wilson repeatedly got himself into jams in late inning situations, but he always seemed to get himself out – a major reason that announcer Duane Kuiper coined Giants baseball as “torture.” And who doesn’t love a guy who wants to rage…right now! Early this season when the Giants lost Wilson, the face of their “Fear the Beard” pitching staff, panic struck the organization and fan base. Once doctors said Wilson needed season-ending surgery, the question became: who would – or even could – step up? The Giants dominant pitching staff was being slowly torn apart. One of my personal favorites stepped up to the challenge, and someone who could throw in the mid to high 90s at least as often as Brian Wilson. Ironically, this right hander is similar to a fellow hard throwing, Dominican native, Felix Rodriguez. Rodriguez is the former Giants set-up man for none other than Robb Nen. 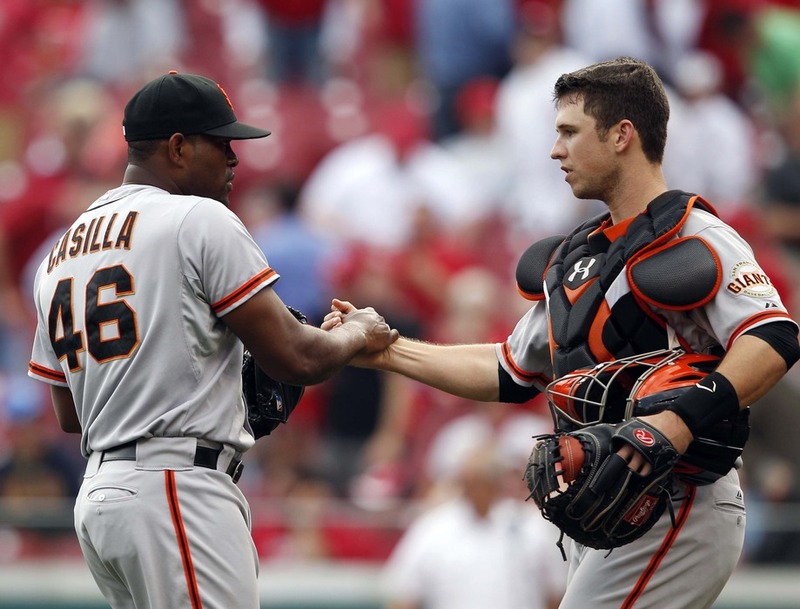 As of 2012, Santiago Casilla has been a member of the Giants’ bullpen for three years. The 31 year old had a rocky start with the Giants, but has solidified himself over his tenure in San Francisco. He traded a small amount of velocity on his fastballs for accuracy, going from an average fastball of 97 MPH the year he joined the Giants to a current average speed of 94 MPH. This tradeoff worked excellently for Casilla, who stepped up to fill Brian Wilson's position as the Giants closer. Thus far, he has converted 10 of his 11 save opportunities. You are probably aware of my opinion on saves, but his 1.62 ERA backs up his success in those high pressure situations. And the Giants have a habit of playing close games, which puts even more pressure on San Francisco's late inning relievers like Casilla. So while Giants struggle to get to the point where they are in a position to win ballgames, they can breathe easier when they do manage to pull ahead late in games. They are an undefeated 17-0 when leading after seven innings, and some credit can certainly be given to the early brilliance of Santiago Casilla.